Melanie Benns is many things, but it’s almost easier to say who Melanie Benns isn’t. You wont find her teetering in high heels or tight dresses. You wont find her ignorant of you, your property, or your lands needs. You wont ever feel condescended to or ignored by her. Because, simply, thats not Melanie. From almost the beginning, Melanie has worked with land. She was a shepherd – horse and all watching over sheep in New Zealand, before working in animal husbandry (which sounds better than goat stud, doesnt it?) for the New Zealand government. Melanie moved into sales, working for a bookshop, prescribing various books for what best suited her customers. Its a trait she carries on today, finding the best matches for buyers of her listings! Melanies strongest quality is her ability to instantly build rapport with people. She treats you with respect from the beginning, listening to you closely to make sure she delivers the service you need with the timeliness you deserve. From her carefully-chosen real estate listings, where she can constantly keep her finger on the pulse of activities, to her boutique rent roll, Melanie embraces quality over quantity. Each of Melanies clients feel as if theyre her only client, because thats the way she believes you should be treated. Once you work with her, youll never want to work with anyone else! 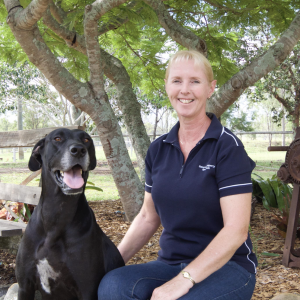 When she has any spare time, Melanie can be found riding her horse, giving extra head rubs to her dog, strolling through the local markets, monitoring her partners love of collecting classic cars or indulging in a fiction book. REIQ1Contact Melanie today for all of your Fernvale, Lowood, Plainland, Minden and Hatton Vale real estate needs.